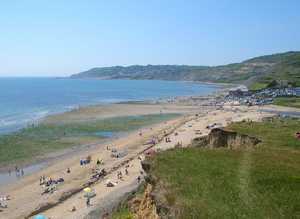 Charmouth Parish Council owns a stretch of beach from the "Vine Yard" below the head of Evans Cliff to the East (at the present fall) to "Canary Ledges" in the West "Black Ven". The Parish Council as owners of the Foreshore, grant permission to carry out fossil walks on and across it's beaches provided that the organisers of the walks apply for permission and abide by the Fossil Walks Code of Practice. 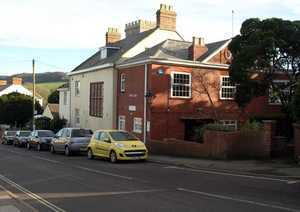 Charmouth has recently joined the front line of digitial connectivity. A newly installed network is now available at Charmouth beach which provides free, seamless wi-fi connectivity over a significant area of the foreshore. Not only does it cover the immediate area surrounding the Heritage Centre and beach huts but also extends along east beach on the other side of the river. To enable the wi-fi, consumers should search for available networks, click on "Charmouth Visitors Wi-fi" and insert the information required. No password is needed. Installation of the beach's wi-fi service was funded as part of the Dorset Coastal Connections portfolio. The aim is to enhance digital connectivity along Dorset's coast, thereby promoting and boosting the Dorset economy. 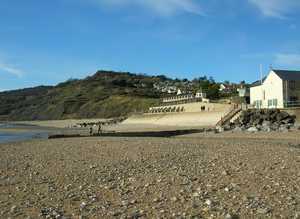 Dogs are permitted on Charmouth Beach during the winter, but there are restrictions during the summer for the benefit of both locals and visitors. Please see our dog policy for full details of dates and times. The restricted areas can be viewed on a map here. 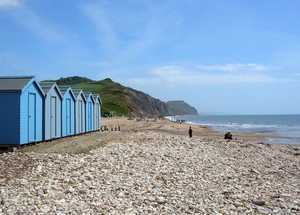 A distinction of Charmouth is that the Parish owns its own foreshore with all the rights from low to high tide. The land and the buildings had been the property of the Pass estate of Wootton Fitzpaine and were purchased by the Parish Council in 1937. Other smaller parcels of land, including Evans Cliff, were given as gifts to the Council by Miss Gertrude Evans (owner of the house 'Hammonds Mead', later a hotel then demolished for the building of housing in new roads named Double Common and Hammonds Mead). The largest of the buildings on the property had been built in the 1850s for the manufacture of cement. The venture failed and the Old Cement Factory, as the building is still known, fell into disrepair. It has recently gained far greater prominence. 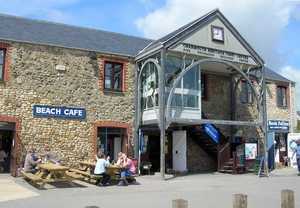 The ground floor now houses a café and retail units, including a fossil shop with a wide selection of fossils from the adjacent cliffs. The upper floor houses one of the foremost geological and paleontological interpretative centres in the country, the Charmouth Heritage Coast Centre. This exceptional resource has a permanent professional staff and has recently been extended to provide guidance and instruction for visitors and school parties in geology, fossiling and environmental studies. 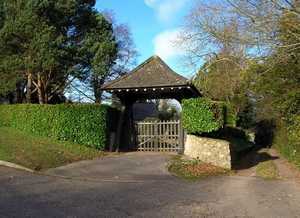 It is the gateway to the Jurassic Coast World Heritage Site. 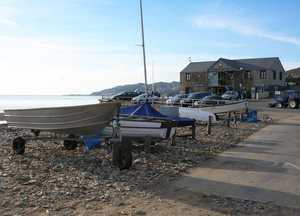 Boats and kayaks can be launced from the beach at Charmouth and can be kept here on purchase of an annual licence. To request a licence, please contact us. There is no charge for daily launching of kayaks and paddleboards. There is a daily launching fee for other craft. Please see our prices. Beach huts are available to hire for the summer or winter seasons. They can also be hired on a daily or weekly basis between May-September. Our beach hut prices can be found here. If you would like to hire a beach hut for the day than this can be done by speaking to our Beach Attendant at the foreshore on the day you require the hut. You cannot pre-book a daily hire. The beach office is located at the Heritage Centre building and is manned seven days a week starting from 8am. If you would like to hire a beach hut for more than a day please contact us at the Parish Council Offices. 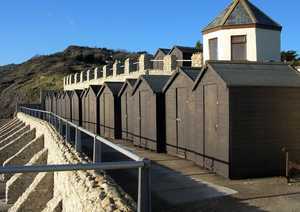 Residents of Charmouth Parish may enter an annual lottery for a number of huts that are made available for the summer season at 50% of the full price. These are normally located on the grass area. 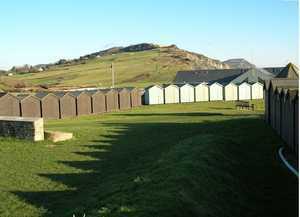 The lottery also includes blue huts on the beach which are restricted initially to residents with children aged under 18. The lottery takes place at the beginning of April each year. To enter please complete the application form which is available from the Parish Council Office or can be downloaded here and return it to the Council Office by the 31st of March. This is the "hub" of the Parish Council – located in the centre of the village with Parish Office open to the public between 9am and 10.30am Monday-Friday. 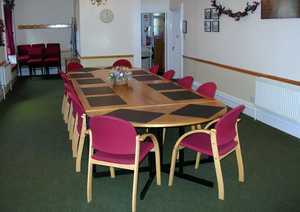 The Conference Room is available for hire to groups and individuals. The room, which includes a fully equipped small kitchen, can accommodate up to 40 people in various styles (board room, lecture theatre, dining) for business meetings, social functions or family gatherings. For more information about hiring this comfortable facility, please use our contact form. 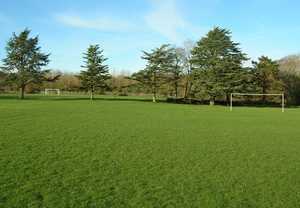 A large green open space in the heart of the village incorporating a children's playground, football pitch, junior goals, bowling green and pavilion. 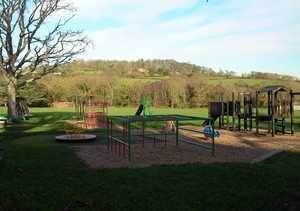 There are plenty of picnic benches and open areas for the public to enjoy this "dog free" area. 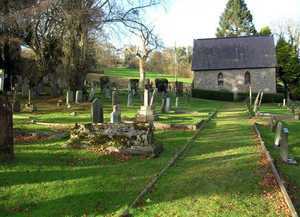 Located at the western end of the village, this peaceful area includes a renovated chapel which is available for intimate funeral services. Please use our contact form to request more information. 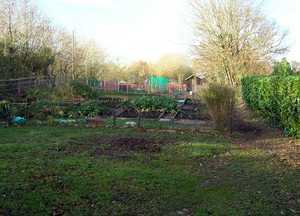 Again sited at the western end of the village adjacent to the cemetery, this area is leased to Charmouth Allotment Association. Please contact their Secretary, Sarah Edwards, on 01297 560612 for more information and availability. The Parish Council is responsible for all four bus shelters in the village as well as all dog waste bins. It is also responsible for any litter and recycling bins at its own facilities. Dorset Council is responsible for the street litter bins.